Whenever machining on a cnc lathe sometimes I have to use some custom type of tools, and while machining I have to adjust tool holder coolant nozzles but I am not lucky all the time. So here is the solution. 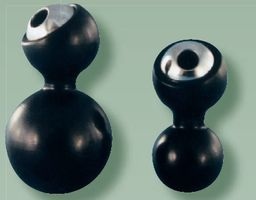 Extended ball socket on BugEye coolant nozzles provides greater aiming range than plain ball style coolant nozzles, while still remaining relatively compact. 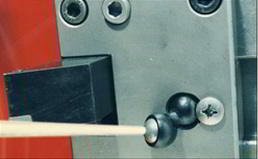 BugEye coolant nozzles are suitable for tool positions where tool tip is difficult to reach with standard screw-lock balls. BugEye coolant nozzles are available in sizes to fit almost every machine or toolholder, no custom toolholder is required BugEye coolant nozzles will fit in your standard cnc lathe toolholder. Just replace it with the plain ball coolant nozzles.